When I received my invitation to the 2016 Sign Invitational it didn’t take very long for me to think up a great idea. Not long at all. I quickly grabbed my sketchbook and over the next hour filled ten or twelve pages with scribbles (to most) of ideas. Before long I had my idea nailed. I realize that some of my ‘competition’ reads these entries and I sure wouldn’t want to tip my hand so early in the game – especially with such a competitive and talented bunch as are entered. 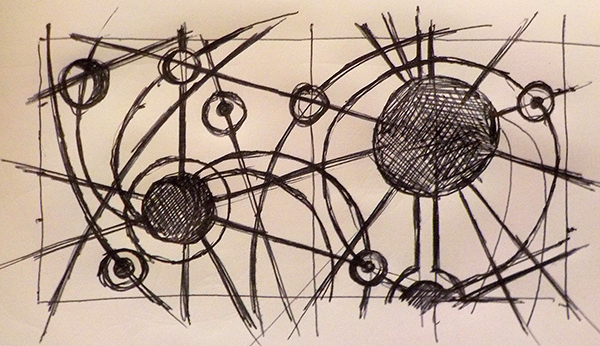 But, that being said I’m not afraid either, so I’ve decided I’ll show a couple of those initial sketches. If nothing else it will show how a project like this comes together. 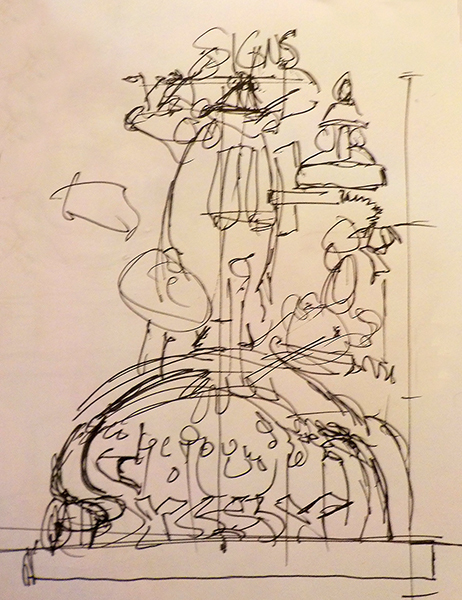 The first scribble is the top half of my entry… It will be called SIGN ODYSSEY. The drawing. although very rough positions each element in relation to all the others. I was working in approximate scale to make sure it would all work out. I did spell odyssey wrong but I’ll make sure that gets fixed as we proceed. 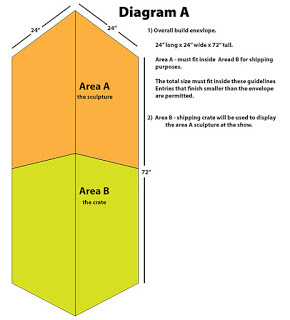 The top sculptural portion of the display has to fit into and be shipped in a box which will act as the display piece for the piece at the show. Because of the caliber of the competition I decided to pull out all the stops. The box for my piece will be over the top as well. The new plasma cutter will come in handy! I did up a rough sketch depicting the (space) SIGN ODYSSEY. 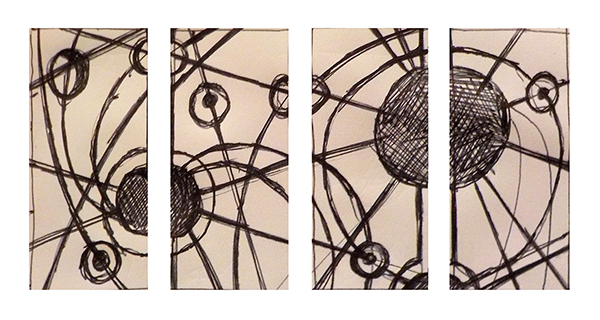 I did it as one sketch and then broke it into four pieces – one for each side. This makes the pattern continuous, no matter which angle you view it from.